started its operating business in Moscow, Russia. 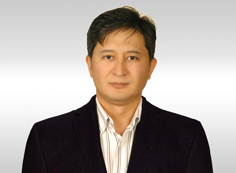 Our newly appointed representatives for Russia are Mr. Sadyrbek Ashirov and his assistant. after-commissioning services. He spent his years working in Turkey, Egypt, Russia, Turkmenistan, Azerbaijan, Uzbekistan and Kazakhstan and languages that he speaks include Kyrgyz, Turkish, English and Russian.